This weekend I ran my first half marathon in Brighton. I have been running for about two years now and I have completed quite a few 10k races so this felt like a natural progression and a good challenge for 2017....... And boy, was it a challenge! The training is more intense and more time consuming for this distance and I had to listen to my body much more carefully to avoid injuries (which I seemed more susceptible too!) and make sure I stayed well fuelled and well hydrated to keep physically fit. But not only is a half marathon a physical challenge, it is also more mentally demanding. In Run for Your Life, Jenny Baker talks a lot about how running is not about being the best or winning a race, it is about "exploring what your body can do, how far it can go and trying to go further, how it feels to run a marathon, how to develop the mental endurance that enables you to persevere when you want to give up." "It is about being the best you can be and discovering who you are deep down." I'm not sure whether I can run another half marathon at the moment, but I'll see how I feel after my muscles have stopped aching and my chocolate consumption has regulated itself! What I do know though is that I have proved something to myself and that running does give me something unique - an escape, a mental headspace and a satisfaction in knowing my body is strong and fit. Running can be addictive, it can be a release, it can be hard work but it can be rewarding. Baker is right, running is about discovering more about yourself and giving yourself some time to explore what you can do. Two years ago I couldn't run for the bus. I never thought I'd run 5k, let alone 10k, let alone a half marathon. I never thought I'd get so much out of something so physical, I never thought I would look forward so much to my weekly catch up with my 'running buddies' and I never thought that the first thing I would pack when going on holiday would be my trainers. It's funny though, as Baker also reflects, it takes a long time before you ever consider yourself "a real runner" and when you realise that running has "changed from being something I occasionally did in my spare time to being a core strand of my identity". Even when I crossed the finish line on Sunday and got my medal, I'm not sure I felt I could call myself a "real runner" but I guess I must be! And if I can do it, anyone can! Running had been many things to Jenny Baker - a space to achieve new things, a way to keep fit and healthy and a source of friendship and community. had planned a year of running to celebrate her birthday; instead Jenny was hit with a bombshell which rocked her life when she was diagnosed with breast cancer. She had one question for her oncologist: can I keep running? It gave her a sense of identity through her chemotherapy, while her treatment was stripping away everything that was important to her. 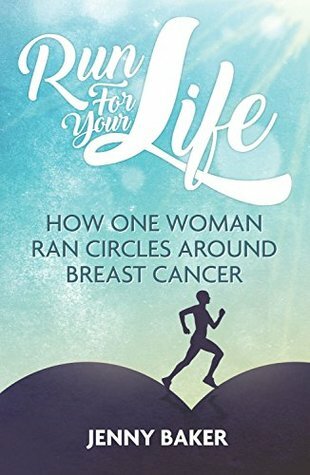 Run for Your Life is the story of how she kept running to help her beat cancer and how it helped her to get her life back on track after an intensive spell of treatment and a turbulent time in her life. This book is such an uplifting read. Baker's attitude and outlook on life is relentlessly positive and optimistic. There are some paragraphs which are truly inspirational. In her down to earth, straight forward observations and clear insights, Baker captures what running means to her and how it shapes her attitude to life, change, challenge, adversity and her ability to adapt and cope with whatever is thrown at her in this journey for which we are never fully prepared. Ultimately it is a book about hope and living hopefully, something which runner or non runner, we can all strive towards. "Was it an adversary that I was battling against, or a companion that I would journey with for a while? ..........A metaphor is never perfect, but it can set your thoughts in the right direction and bring the unknown into reach." She talks about the diagnosis and includes her original blog post "Not what I had Planned" when she found out. There is another blog post about "How to Help" and a special mention of the "Human Repair Kit" a friend gave her. There are chapters about chemotherapy, appointments, being gravely ill and the long battle which she went through. "There will always be a few women who turn up for races with a full face of make-up but when you run you really don't have to worry about what you look like. .......throw on the same kit time after time....stuff unwashed hair in a ponytail....get hot and sweaty in the face...."
In fact, for me, I find it a real relief when its a "run day" and I can just get up, pick up my gear from the last run and take the children to school without having had a shower, a second glance in the mirror or a care in the world. I run through my town puce, breathless and without style, lost in my own world and buried deep in whatever song is playing too loudly through my headphones! That is liberating! As Baker says, running is about "experiencing my body as strong and capable, rather than something to reduce through diets or put on display." I think this is a really important message. Running can give you a space for just you and to appreciate your body; a real satisfaction that you are fit, strong and healthy. Baker also talks about how she became very involved in the Right to Movement Palestine Marathon where "we run to tell a different story". "Running to my chemotherapy appointments had enabled me to tell a different story about my treatment." Baker talks about running to her hospital appointments as a way of showing her determination, her right to choice - a choice which not everyone has. She also says it was liberating and gave her a chance to hold on to something of herself when everything else was becoming lost. This realisation led her to becoming more involved with a charity which ran to raise funds for those people in Palestine who do not have a voice, freedom or choice. But as well as talking about her incredible marathon achievements, Baker also talks about parkrun. Parkrun is a national organisation where every Saturday at 9 o'clock in the morning, across Britain, in town centres, city centres and country villages, people meet at the park and run 5k. It's a great way to start running, to meet other runners or to take the whole family along - and the dog! - and start your weekend with a fun run around the park. "It is where marathon finisher shirts line up next to not-been-worn-since-school plimsolls. It is for people who that Saturday felt they couldn't go any further, but who a couple of days later find they actually can. No one is too slow for park run. you can't get lost of left behind." "parkrun is the quiet witness to countless people turning their lives around, where good intentions to exercise first become a reality, where dreams of running a marathon 'someday' start to become a possibility." It is hard not to want to close Baker's book, grab your trainers and head off out she enthuses so much about the physical, mental and emotional benefits of running. If this woman doesn't make you want to start running, no one will! But I am going to leave you with an extract from the end of the book. I hope Baker won't mind me quoting such a large chunk of her final thoughts but I think they capture her wisdom, voice, passion and absolutely inspirational attitude to life. "Training is an exercise in hopefulness. You sign up with a goal in mind, perhaps to run faster than ever before, or to try a different distance, or as an excuse to visit a new city. you commit yourself to a training plan and carve out time so you can follow it. But you don't know what will happen next. There will be times when everything aligns and you run the perfect race. There will be times when you get injured and you have to modify your expectations of what you can achieve. There will be times when you have to give up on the race, take time to heal and start again in a few weeks' time. But it all starts with the choice to act hopefully. There is no knowing what the future holds, but you do have a choice about how you will move forward. I will do what I can to live well and to live healthily but ultimately I cannot control what happens next. I choose to live hopefully." I can't find the exact quote now, but there was also some great advice which I took with me all the way around the Brighton Half Marathon. I'll paraphrase it but the idea is that you take each kilometre at a time - only think about the next kilometre rather than the whole race. Not bad advice for life either, don't you think? Run for your Life by Jenny Baker is published by @pitchpublishing and is available from Amazon. Running has been many things to me – a space to achieve new things, a way to keep fit and stay healthy, a source of friendship and community and, in the running I’ve done in Palestine, a way to demonstrate solidarity with people whose freedom is restricted. So when I thought about how to celebrate my 50th birthday, I naturally planned lots of running – marathons in Palestine and London and a 50k race in the autumn. Instead I was diagnosed with breast cancer and those plans evaporated to be replaced with chemotherapy, surgery, radiotherapy and hormone therapy. But through all that treatment, I kept running. I ran to all my chemotherapy sessions, seven miles along the river from Kew Bridge to Hammersmith. I did my 50th parkrun and a half-marathon six weeks after finishing radiotherapy. Running was a way to hold onto my sense of identity when I felt I was losing everything, and helped me get myself back once all the treatment was over. I blogged my way through the whole experience and I’ve written a book about it, Run for Your Life, which will be published by Pitch Publishing in January 2017. I hope it will be helpful for other women facing the same thing, whether they are runners or not, and for the friends and family who love and support them. And I hope that runners of all shapes and speeds will resonate with the story of how I got into running and what keeps me going. I’ve written a book based on this blog, about my experience of running and cancer. 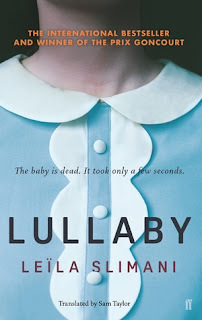 It was published in January 2017 by Pitch Publishing and you can download the first couple of chapters from their website, or order it on Amazon, Waterstones or from other online bookshops. You can find links to my original blog posts on my ‘about’ page. The i news has published an extract from the book and there’s an article about me in the Daily Mirror. I’ve written about my experience for Huffington Post and the Running Physio and Ealing Half Marathon have done a great press release about it. The book is being reviewed by a few people and there are more articles about it to come, so I’ll keep this updated. I’m hoping it will be helpful to women facing a breast cancer diagnosis, to their friends and family who want to know how to support them, indeed to anyone struck by the cancer thunderbolt. But I also think it will be of interest to everyone who runs. It explores how I got into running, how running became part of my identity, why I’ve run in Palestine, how running builds resilience and makes you stronger in so many ways. Ah great!! I think running keeps me sane, although the half might have actually sent me a bit mad!!! Good luck and enjoy putting those trainers back on! Thanks for getting in touch!